Russia-based tuner TopCar is once again outdoing their own design dazzle. 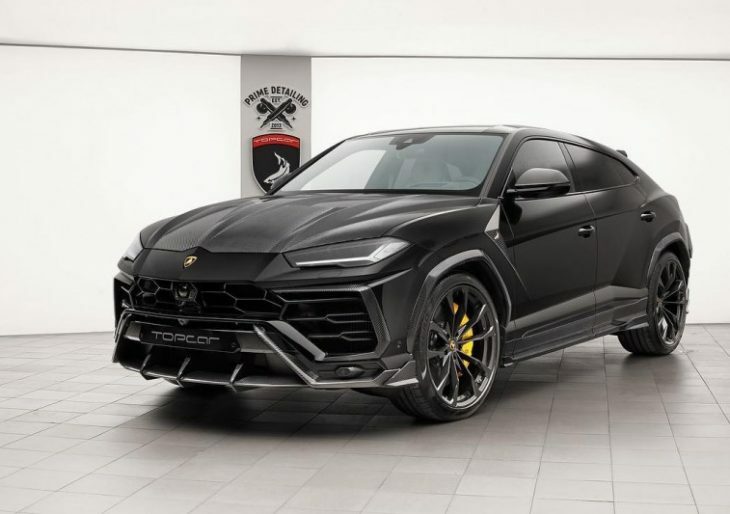 This time around, they’ve got the Lamborghini Urus in their sights. It’s black. It’s aggressive. It’s not for the faint of heart. Clad in carbon fiber, the luxury Italian vehicle gets 10 major carbon-fiber pieces at the hands of team TopCar; the replaced body components include the front bumper, hood, front intake, fender extensions, door moldings, side skirt extension, and side splitter. The tuning kit also includes 22-inch custom wheels, and a three-piece TC logo set to guarantee the Urus is never mistaken as a stock model. TopCar has developed quite a reputation for the care it takes in its customization projects, so drivers can expect an acute attention to detail and quality. But, you ask, what about the engine, the exhaust, the aero kit? Details are scant at present, and TopCar isn’t talking; right now, we’d have to guess that the kit is entirely cosmetic. Still, the Urus can sprint from zero to 62 mph in only 3.6 seconds, not bad for an SUV. Interested drivers can expect to pay somewhere north of $54,500 for the complete customization package, as it currently stands.